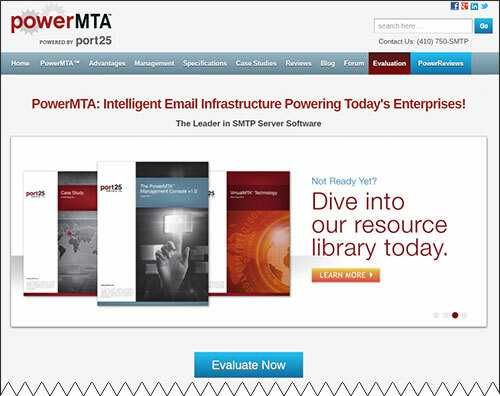 You may be familiar with the concept of a call-to-action (CTA). It’s a sentence, link, or button that leads visitors to complete some action—preferably one that results in your company earning money. There’s no shortage of conversion optimization articles out there that promise insane improvements for just tinkering with your CTA. Focusing on the the ”call-to-action” is usually a waste of time, and can even result in lower conversion rates. By taking a slightly different approach, you can actually multiply your user or customer acquisition rates instead of wasting time playing with button colors. You can follow all the best practices for CTA buttons and still see no improvement in conversion rates. That’s because all those best practices talk about an ideal button—its color, text size, phrasing, etc—and rarely say anything about the button’s surroundings. And yet, the surroundings of a CTA make all the difference. Which site would you guess converts more visitors into leads? The “Evaluate Now” button of the second example is screaming to be clicked, while the “Learn More” button of the first example is easily overlooked despite following best practices for CTA buttons. My proposed solution is to forget about the “CTA” entirely and instead focus on giving the visitor a ridiculously obvious next step. At every point along your conversion process – whether it’s a multi-step sign-up form, or a checkout, or a product onboarding – make the next step ridiculously obvious to your visitors. Why “ridiculously”? 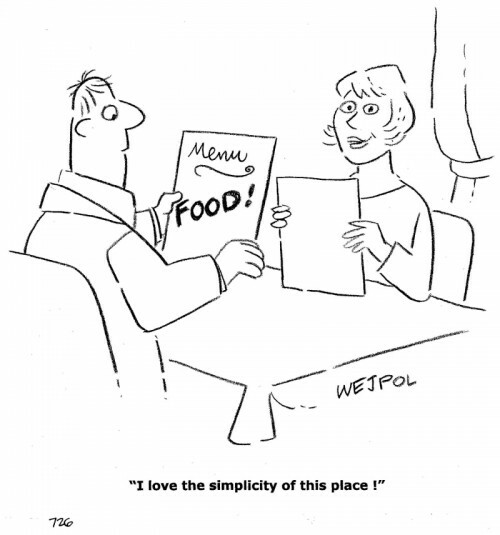 Because what’s obvious to you may not be obvious to your visitors, so make it ridiculously obvious to be sure. Make it prominent. Whichever element the next step involves -- such as a checkout button or a contact form -- make it ridiculously more prominent than anything else on the page. If you can't spot your checkout button from across the room at 25% zoom, then it's not prominent enough. Limit the alternatives. 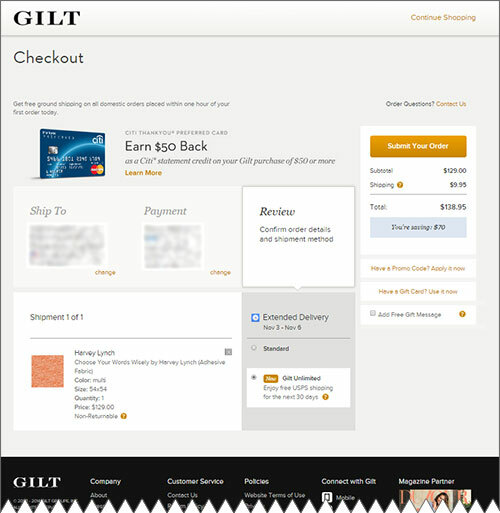 Submitting an order from the checkout page isn't a ridiculously obvious next step until you remove the site navigation. On the homepage, remove every non-essential link such as press releases or event calendars. When in doubt, go for drastic changes and A/B test against the original! I recently applied this idea to the checkout page of a large ecommerce site and A/B tested it against the original – in which placing the order was a next step but not a ridiculously obvious one. I can’t share any specific details, but suffice it to say that the resultant annual increase in revenue wouldn’t be out of place in a rap song. 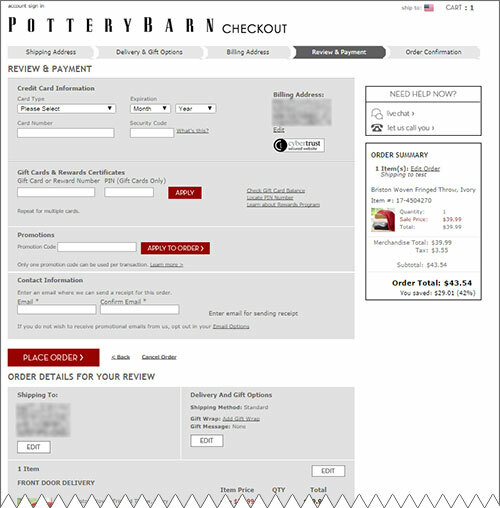 On Pottery Barn’s checkout page, placing the order is an obvious next step. Anything not related to placing the order has been removed. 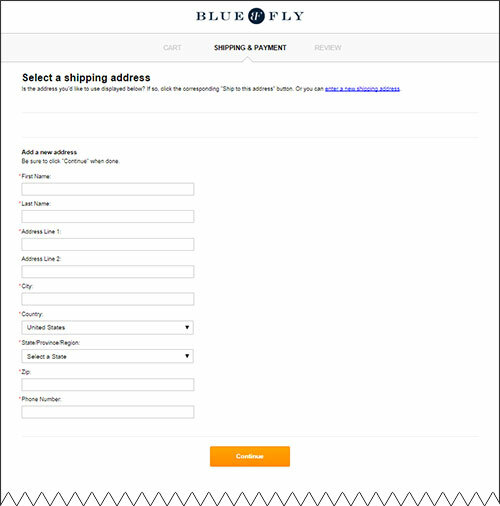 No main menu, no footer, no featured items… The button tied to the next obvious step (“Place Order”) is the most prominent element on the page. There’s no menu, no “order process” bar, and just one very prominent checkout button. Aside from the credit card promotion – which I’m sure is very lucrative for them – they can even remove the footer and the “continue shopping” link. 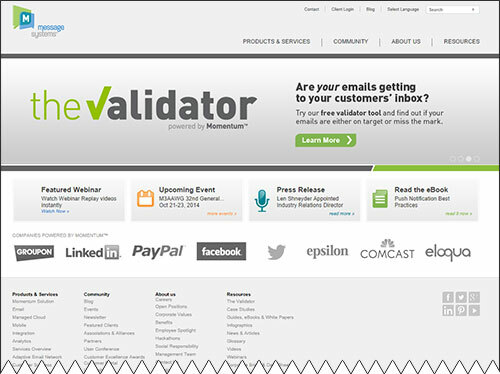 If you don’t think this approach to conversion optimization works for large companies: What you see above is the checkout page of a company that did over $90 Million in revenue last year. When discussing or starting a conversion optimization project, think about providing a ridiculously obvious next step instead of focusing on the CTA alone. Don't be timid. If checking out from a checkout page wasn't obvious before, it'll take more than a touch-up to make it a ridiculously obvious. Start with drastic variations, and optimize the small details later. Share this post with your colleagues. Not only to improve their conversion rates—although they'll still thank you for that—but also so we can stop thinking of conversion optimization as playing with button colors and other nonsense.